And explaining what was going on with the ‘80s can be tricky business. Imagine your child has just watched the film clip to ‘Take On Me’ by A-Ha, they’re going to have a lot of questions. I still have a lot of questions. Maybe they’ve just watched the hit new film Bumblebee and they want to know more about Transformers. If that’s the case then you better start scouting out some premium schooling because you have a little genius on your hands, a precious treasure to nurture. Whatever the reason, and because we care about you, we’ve thrown together a cheat sheet to explain the ‘80s to your precocious child: the hair, the music, the parachute pants and why Transformers was the coolest thing ever, yes even cooler than Fortnite. The ‘80s was the height of coolness. The ‘80s had the best toys. The 1980s were an epoch for toys, a changing of the guard and an exciting time to be a kid. ‘80s toys were so cool! They did things! Before the 1980s a high tech toy might be something where you pulled a string at it said a line, like Woody from Toy Story. The 1980s ushered in a new age of toys where instead of pulling a string you pushed a button! This was a big deal – instead of getting a random line from the toy, you could pick what you wanted it to say. Duke from GI Joe would reliably deliver a superhero line to Cobra Commander instead of rolling the dice and coming up with a strange non-sequitur. Battle Damage He-Man was incredible. He had a rotating panel on his chest that would flip around on impact, going from pristine He-Man abs to raking wounds. No longer did you have to pretend that He-Man had taken a hit from Skeletor, he actually got wounded! These cartoons were made with the purpose of selling the aforementioned toys, sure. But they were also really good cartoons. To this day, cartoons can’t really hold up to the golden era of the 1980s. They taught us values. He-Man taught us that there was a hero within us all, even those who looked small and fragile. GI Joe taught us that knowing is half the battle. Optimus Prime taught us…everything. 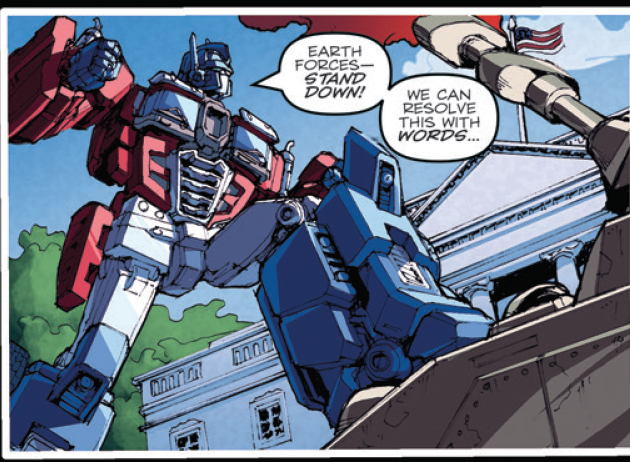 Seriously, Optimus Prime was on the same level as Gandhi. How did this guy not get his own religion? Again, golden age. How do we even approach this? We can start with Caddyshack in 1980 and finish with When Harry Met Sally in 1989. There’s Top Gun. There’s Dirty Dancing. There’s Rain Man. There’s The Lost Boys. The Empire Strikes Back. Ghostbusters. 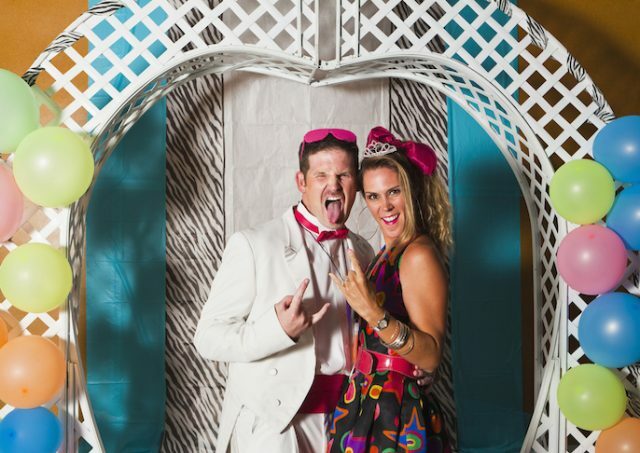 Maybe the best way to sum up the 80’s is with two words: John Hughes. John Hughes was one of the greatest writers of the 20th century, offering an insight into the human condition not seen since Voltaire. Hughes gave us the greatest Christmas film of all time in National Lampoon’s Christmas Holiday. He brought us the greatest precis into teenage angst with The Breakfast Club. He gave us the most underrated comedy of all time in Uncle Buck. But most importantly he gave us Ferris Bueller’s Day Off. Everything you need to know about life can be found in Ferris Bueller’s Day Off – there isn’t a life lesson you need to learn that isn’t covered in that film. It isn’t a comedy – it’s 6000 years of human philosophy neatly condensed into a 1 hour and 43 minutes. Sadly Hughes had to return to his home planet in 2009, and Earth has been all the poorer for it. Once more, where to start? There are just so many classics. The soundtrack to the new Transformers film Bumblebee is a good launching point with everything from Duran Duran to The Smiths to the aforementioned A-Ha (and if one of your kids says something about there being an upbeat version of Lorde’s ‘Everybody Wants To Rule The World’, now’s your chance to pull that sweet summer child aside and explain the phenomenon that was Tears For Fears and how we liked everything to rhyme back then). But it doesn’t stop there. The ‘80s kept it coming on the reg. Journey gave us ‘Don’t Stop Believing’. Across the ditch, the remnants of somber British punk band Joy Division rode out the death of lead singer Ian Curtis to, oddly enough, invent techno after rebranding as New Order with smash hit ‘Blue Monday’. But perhaps ‘80s music, like everything else with the 1980s, can be summarised with the lessons we learned. Whitney Houston taught us how important it was to dance with somebody who loved you. George Michael taught us about how we had to have faith. Olivia Newton-John taught us about the importance of cardiovascular exercise. Prince taught us about the sadness of birds. Survivor taught us about what a tiger sees. MC Hammer taught us about what we can and cannot touch. Vanilla Ice taught us that one thing you definitely shouldn’t touch is copyright infringement. You know what else the 1980s taught us? Frugality and discretion. We didn’t have Bluetooth connectivity and Spotify, we didn’t have access to every song ever written and performed by mankind. We had cassette tapes (for the kids reading: a cassette tape is an ancient piece of technology whereby information is encoded on plastic strips using the power of magnets. That makes it sound way cooler that it actually was…) that you could fit maybe ten songs on. Ten! Imagine an iPod that only held ten songs. You’d have to be pretty damn sure that the music you were going to put on there was going to be what you wanted to hear for the rest of time. You had to make tough calls and battle royale your favourite tunes until only nine remained. I say nine, everyone had ‘Don’t Stop Believing’ on there. Do you want to know how important the cassette was back then? There was a Transformer who could…transform…into a cassette player. His name was Soundwave and anyone who had him was the undisputed god of the playground. He even had little cassettes that were also Transformers! You kids today with your skinny jeans, you don’t know the comfort that is a suitably baggy pair of pants. Plus, if you ever fall out of a plane, will your skin hugging tights provide enough wind resistance for you to gracefully glide back to earth? Or will they make you more aerodynamic on your plunge to the ground? What if your pants acted as some kind of…parachute? MC Hammer lead the way on a lot of things. Denim is a highly durable and strong fabric, it makes sense to create entire outfits from it. Fishnets under pants? Madonna invented that look. And the hats you ask? Well to that all I can say is that kids today, with their unprotected heads, are exposing themselves to sun damage that no one in the ‘80s would ever stand for. If your children have watched Kelly McGillis in Top Gun (or Meg Ryan for that matter), or maybe they’ve seen any film clip from a hair metal band like Styx or The Scorpions, they’re going to ask, “what’s up with the hair?”. You’ve got me on this one. The ‘80s wasn’t a great time for hair. You see the perm was a recent invention, having been created accidentally by an Argentinian hair technician by the name of Alphonse Permilato in 1983 on the set of the movie Flashdance when he mistook a bottle of ammonium thioglycolate used for set construction as a conditioner. Due to the success of the film, the “Perm” as it became known after the nickname of its creator, enjoyed popularity as a status symbol for men and women alike. However, after a time, (literally) cooler heads prevailed and the perm was consigned to the regret pile of history. I admit, I may have made some of that last one up. The ‘80s were awesome, a time of freedom and personal discovery. If the ‘60s were about freedom, and the ‘70s were about expression, then the ‘80s were a time when society took a look at itself and decided that it better get its act together and be a grownup. To forge the path for a better future, the one we’re still striving for today. Hollywood knows what’s up, that’s why they set the new Bumblebee film in the ‘80s – a more innocent time when our tunes were pumping, our films were heartfelt and our vehicles were more than meets the eye. The 1980s were radical. Bodacious. Gnarly. ‘Bumblebee’ is new to 4K Ultra HD™, Blu-Ray™, DVD & Digital. Buy it now.